Omnipresent along USA’s roads since the early 60’s, motels signs have become iconic in representations of American culture by facilitating the freedom of long road trips across USA. 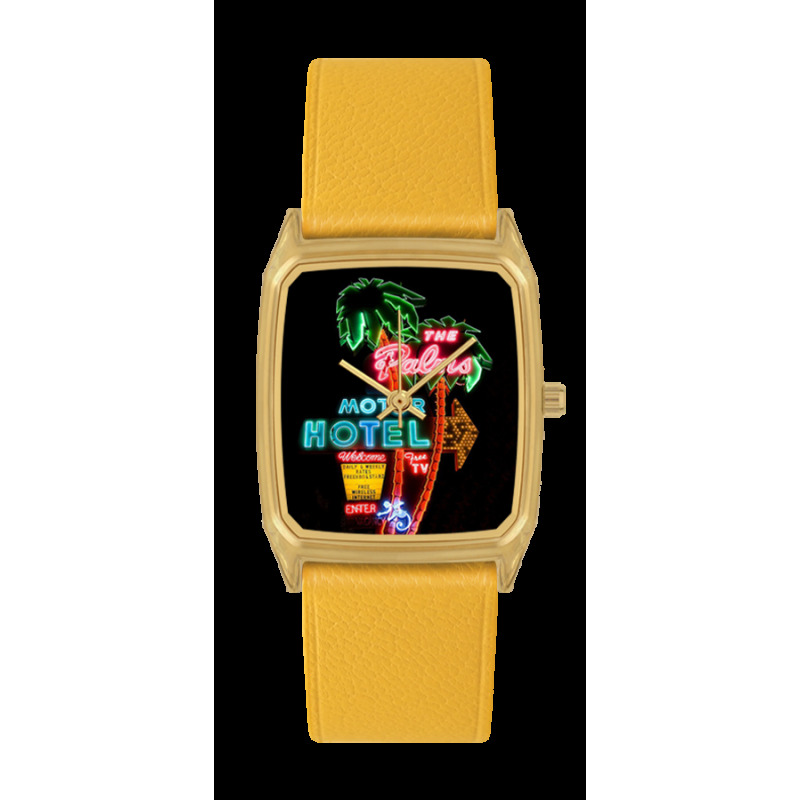 Catchy and full of colors, their neon signs play on the dream of an idyllic place to stay for the night or on a local icon. Free TV and hot tub room in option. Hit the road with The Palms !